I really like the look and feel of this watch. My only complaint is that after several months of regular wear, the rose gold coloring has rubbed of a few of the links to reveal silver underneath. 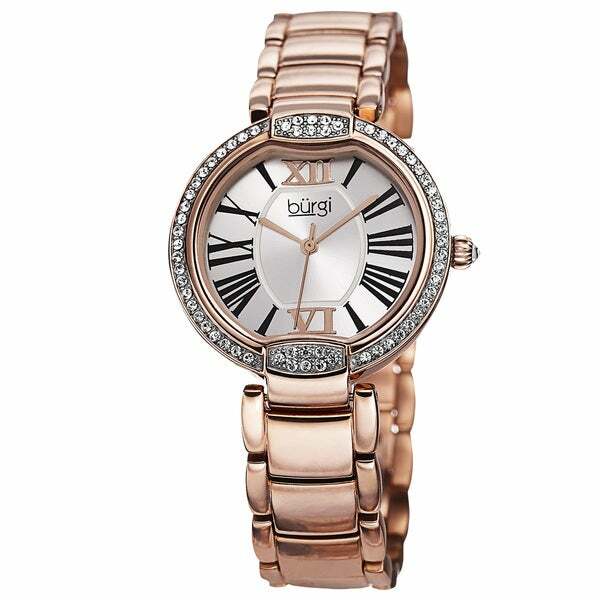 This ladies Burgi timepiece is perfect for any occasion with its elegant appeal. The sunray dial shows bold Roman numerals for easy reading, while the bezel contains Swarovski crystals. With a stainless steel built, this fashionable watch is sure to last. 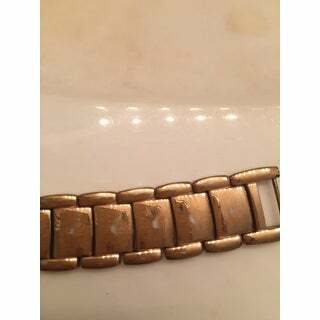 Overstock never disappoints on their watches. This is the 3rd watch I have bought since June. I bought them for my 3 sisters birthday’s. This watch is beautiful, and looks better than in the picture. I was a little worried about the rose tone, but it looks great. "Is this watch in rose gold?" Yes, this watch is a rose-tone color.